Our plastic surgeon Richard Zeff, MD understands that, since insurance does not often cover elective cosmetic surgery procedures, many patients may need some help bringing the cost of treatment into their budgets. We believe that every patient deserves to look and feel their best, regardless of their financial situation. With that in mind, our board-certified plastic surgeon works with CareCredit and Alpaheon, reputable financing companies that have a variety of options to help qualified applicants pay for their treatment over time. You can even start the process and check to see if you qualify by clicking here to apply online. Visit the Alphaeon website to learn more about financing payment plans and to fill out an application online. 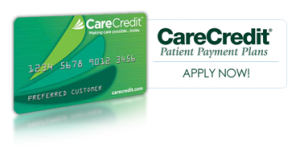 In addition to working with CareCredit and Alphaeon, we also accept a number of different payment methods here at our practice. We’ll be happy to answer any questions you may have about how you can pay for your treatment. Please feel free to contact our center for more about the plastic surgery payment plans available. You can also call us at 1-603-684-2339 to schedule a consultation at our practice.